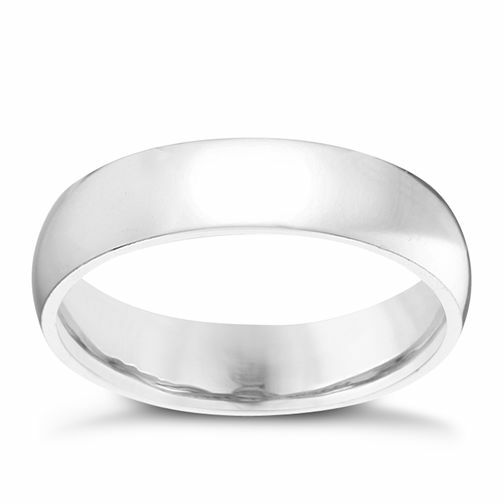 Mix classic and contemporary details with this elegant wedding ring. Crafted from contemporary palladium for a wearable, gleaming look, this ring measures 5mm wide and is set in an extra heavy court shaped style for that classic finish. A wonderful way to showcase your everlasting love and commitment. Palladium 950 5mm Extra Heavy Court Ring is rated 5.0 out of 5 by 1.